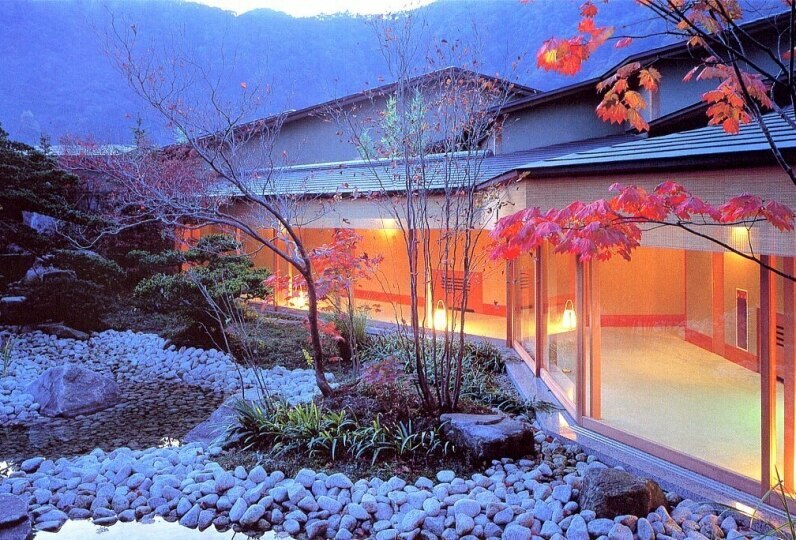 If only we could capture the charm of Aizu with its abundant nature and history and colorful traditional culture, Onyado Toho began with such a thought and has become an inn loved enough to win several awards. The inn's charm is found in the details throughout. 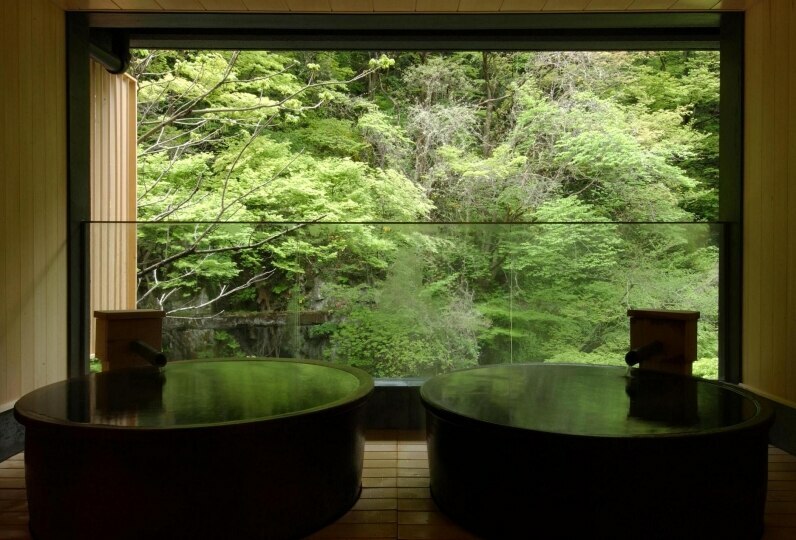 The two different panoramic open air hot springs boasted by the inn practically seem to float in the sky. By day listen for the wind rustling the bamboo and the bird calls. At night gaze upon the dazzling night scenery and the starry sky. Experience top quality relaxation in a world of fantastical leisure. 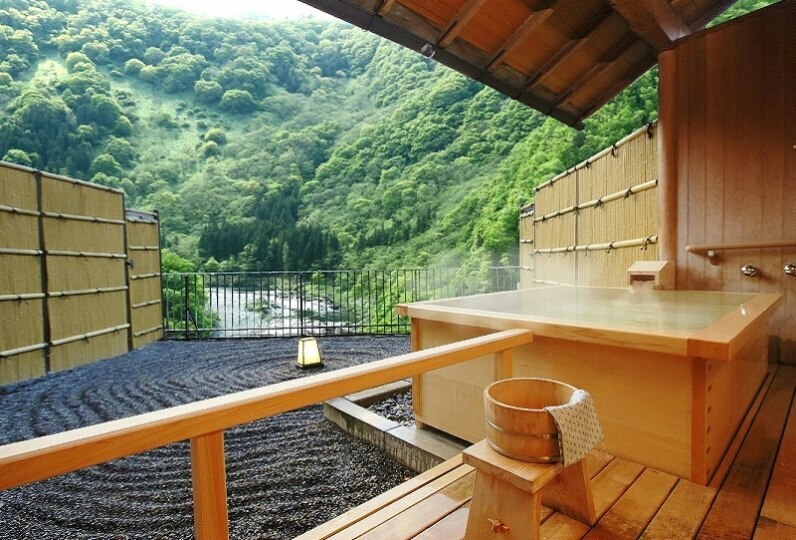 The guest rooms are filled with an openness as they look down upon the castle town of Aizu. It is ideal for an unreserved trip with friends or family or an extra special anniversary trip. We have rooms suited for any sort of trip. 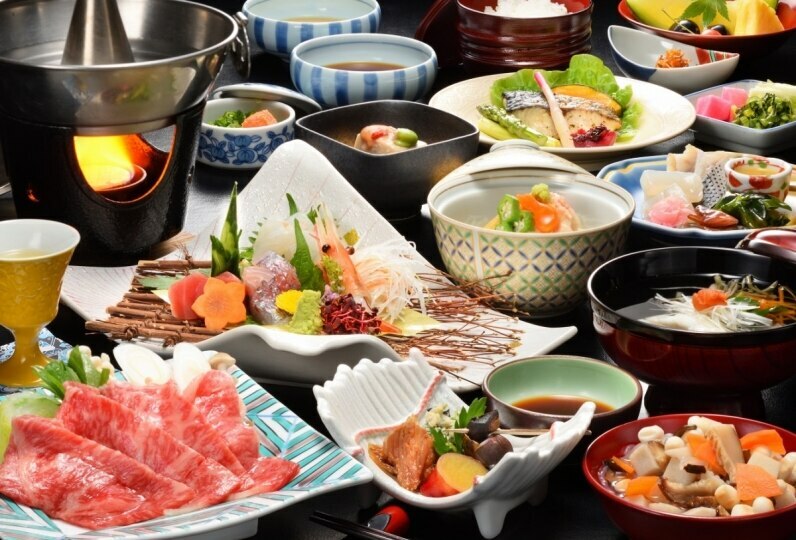 The buffet serves 70 different dishes of local fare and is truly an "Aizu kitchen." We deliver you freshly made food from our open kitchen. Experience a variety of plentiful dishes including specialties such as kozuyu and horse meat. Make memories of an unforgettable journey at this inn that boasts one of the most satisfactory experiences in the northeast. I stayed at my mother-in-law's birthday celebration. My mother was very pleased with the gift for the celebration. The front desk staff and the dinner service staff were very nice and comfortable. The hotel is nice but the rooms are very clean and comfortable. Customer service, service, food and hot spring were all very satisfying. thank you for helping me! It was disappointing that towel was not brought home though it was onsen of No. 1 Higashiyama Onsen. I think that there is an advertising effect, so I would like you to make a towel with your name and be sure to bring it back. We have karaoke and screens. Revoir is ideal for after-parties for groups of approximately 55. There is a wide open space in the lobby where guests can take their time. There is a drink menu, to which we invite you to help yourself. We offer pure beautiful leisure to our guests with all-hand therapy in our aroma day spa. *Reservations are not necessary but there may be no time available if there are many reservations. We recommend making reservations ahead of time. Specialty sweets of Aizu, Kitakata ramen, Aizu lacquerware, traditional local toys (akabeko), pickles, miso, soaps, and Aizu cotton are among the many souvenirs for sale as well as drinks, snacks, batteries, disposable cameras, clothing items and other necessities. *We opperate a shuttle bus that connects Aizu Wakamatsu Station and Onyado Toho everyday. No reservation necessary. Please do not hesitate to use the service.